order your favourite Indian dishes for delivery or takeaway! Every curry is not created equal! 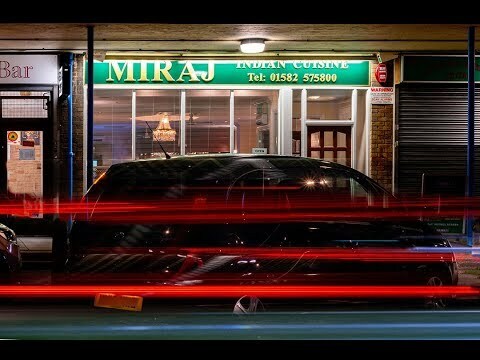 We welcome you to MIRAJ at Luton, tempted by an unrivaled range of authentic & imaginative traditional indian foods. Our food is cooked to the highest standards only using the best quality & freshest ingredients. Our approach to healthy cooking is that we try to minimize additives in our dishes. We never forget that without our customers, many of whom have become friends, none of this success would be possible. So enjoy your meal & have a memorable experience. Whether you are in a hurry and just need to grab something and run or are looking to relax and enjoy some fine flavours we have the place for you! You should also check back here often as we always have great offers and regular updates to our menu as we constantly strive to provide not only the best flavours but also the most interesting. To stay updated on all things "Miraj", simply subscribe to our VIP list and we will send you the best offers, news and updates, possibly on the planet! 20% DISCOUNT (on delivery orders over £25.00) (not in conjunction with any other offer, deliveries available within a 3 mile radius). Drinks available for delivery.